Home » art » Redhorse Army, show your allegiance! Redhorse Army, show your allegiance! 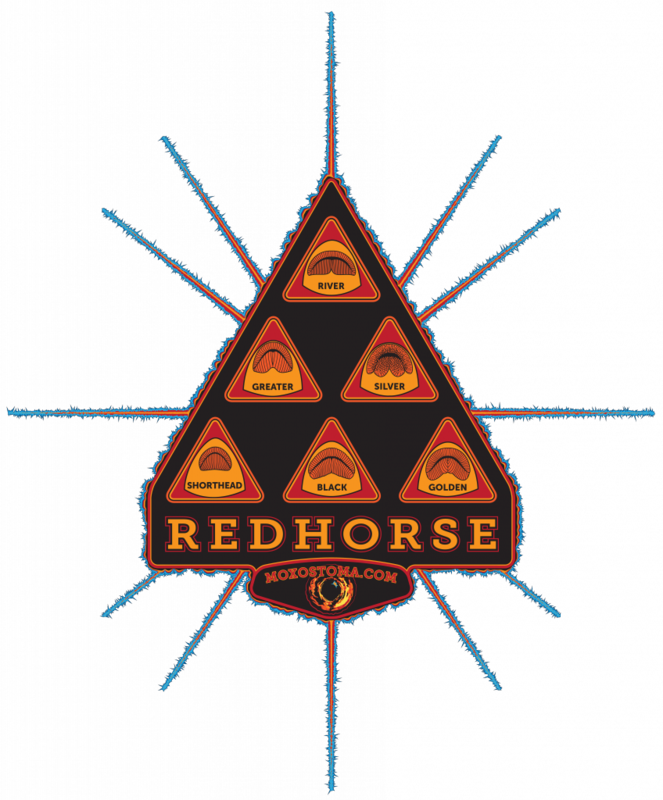 There is a new redhorse design for sale in the zazzle store, created in response to a few people who told me that they like the pyramid of redhorse lips, but don’t want to have to explain it all the time. This time the word REDHORSE is prominently featured (along with an unblinking redhorse eye). I don’t know how much it will help, since I’m asked all the time what “redhorse” means. Wear the insignia of that most selective branch of the Forces of Truth and Fishing: The Redhorse Army! Tagged art, fishing, respect, suckers.